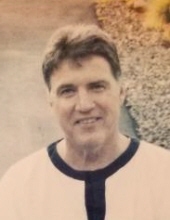 age 72, of Bridgeville, formerly of Pittsburgh, went to be with his Lord and Savior on February 5, 2019. He was a long time member of Mustang Club and Pittsburgh Cars. Very active with his church Mt. Washington Baptist Church. Dave was survived by his loving companion Lesia Humenycky, his son Brian Zamborski (Michelle), sister Judy Zamborski, and grandson Ethan. He was preceded in death by his parents, Andrew and Jeanne B. Zamborski. Visitation will be held on Sunday, February 10, 2019, 2:00 pm - 4:00 pm at the JEFFERSON MEMORIAL FUNERAL HOME, INC., 301 Curry Hollow Rd., Pleasant Hills, 15236. A Blessing Service will be held Sunday, February 10, 2019, 4:00 pm, at funeral home's chapel. Burial will take place at the National Cemetery of the Alleghenies 1158 Morgan Rd, Bridgeville, PA 15017. Memorial contributions may be made to the charity of your choice. Condolences may be left at www.jeffersonmemorial.biz. To send flowers or a remembrance gift to the family of David A. Zamborski, please visit our Tribute Store. "Email Address" would like to share the life celebration of David A. Zamborski. Click on the "link" to go to share a favorite memory or leave a condolence message for the family.